Being mindful isn't just good for your mental health—it's good for business. Despite the many rewarding aspects, no one can deny that running a small business is stressful. And when the going gets tough, you may feel the need to put in as many hours as possible. But being overworked isn’t just bad for your own mental health—it can be bad for your business, too. By now, you’ve probably read about the positive impacts of mindfulness and meditation. And while “mindfulness” may seem like an internet-friendly, New Age-y buzzword, it is anything but. Put simply, practicing mindfulness means being able to clear your mind and focus on the present. As an entrepreneur, this can be particularly difficult. You constantly have your hand in different pots, mind racing around everything you need to accomplish, and as soon as one issue gets resolved, there’s another one ready and waiting. Mindfulness has become a trendy way to deal with the stress of being an entrepreneur, and for a good reason: it works! Here are 4 mindfulness tactics every entrepreneur should learn to bring balance into your life. 1. Ease into a meditation practice. Mindfulness meditation may seem simple, but it’s easier said than done. Sure, all it takes is a few minutes to clear your mind, but you can imagine how difficult this can be if your thoughts are constantly all over the place. Tim Ferris has credited meditation as the number one habit successful leaders all have in common, and he starts every day with 20 minutes of meditation. Of course, you won’t be able to do that right away as a novice to mindfulness—and that’s okay! In order to successfully practice mindfulness meditation, start small. Try to be fully present, ignoring all distractions, for just two minutes. Get comfortable, either in a seated position or lying down, and close your eyes. Take deep breaths, and notice your body, and how it feels. Let your mind be however it wants to be. Simply notice your thoughts, and don’t try to change them—simply observe what they are. After two minutes (you can simply set an alarm on your phone), open your eyes. Take some time to reflect on how that felt. When you take time to observe your own thoughts without trying to interpret them one way or another, you can gain new perspective on how to handle a situation—and a greater ability to control your own emotions. 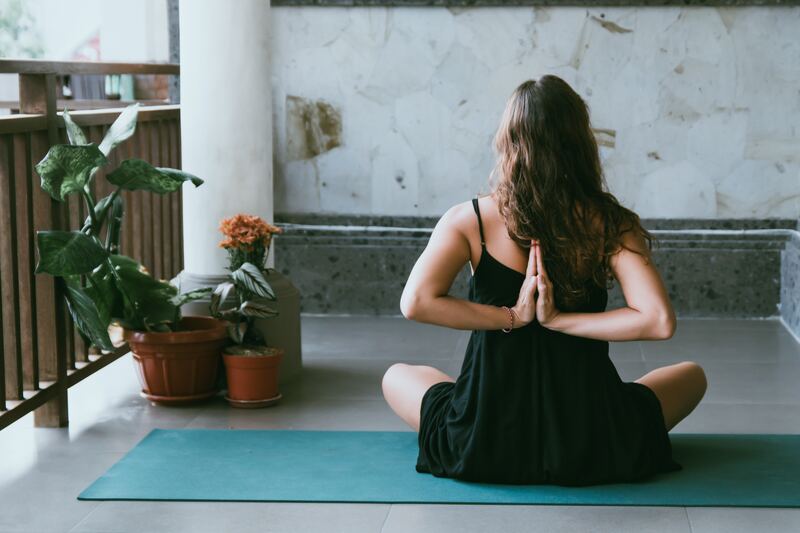 Once you’ve started practicing mindfulness meditation even for just a couple of minutes at a time, building a regular practice will become easier. Another tenet of mindfulness is practicing gratitude. It’s so easy for us to dwell on what needs fixing, especially as an entrepreneur. You are constantly striving for bigger, better things. That’s not a bad thing—but you have to remember what you’re grateful for, too. Practicing gratitude can not only provide you a healthy dose of perspective, it has also shown to significantly improve one’s outlook and sense of optimism. Take time to start acknowledging and focusing on the things you are grateful for by keeping a gratitude journal. Start by writing one down one thing you’re grateful for each day, or every few days. Your entries don’t have to be long—rather, it’s better to write out the details of why you’re grateful for one particular thing than to list a bunch of different things without much detail. It will give you time to reflect deeply rather than widely. Over time, you should become accustomed to focusing on the positive. This will guide your thoughts to be more optimistic overall, and allow you to have more confidence going forward. 3. Reflect on your failures without judgment. Practicing mindfulness means making yourself fully present so that you give yourself room to grow. The point of keeping a gratitude journal is to prevent yourself from getting so distracted by your failures that you fail to recognize your accomplishments or even just the little things that are going right. But failure is part of growth, and no mindfulness practice would be complete without occasionally recognizing it. You know, in theory, that some of the biggest successes grow from the biggest failures. But when it comes to your own life, it can be difficult to appreciate a failure as part of the bigger picture. Take time to occasionally reflect on where you’ve failed without judgment. If you can learn to be grateful for every experience, even the negative ones, you can keep inching towards a more optimistic existence. You may not be able to prevent failure, but you can control how you respond to it. Practicing mindfulness will help you continue to recognize that failure is part of the process. 4. Start a community practice in your workplace. Once you’ve incorporated mindfulness tactics into your own life, you’ll soon realize how they can help boost morale and productivity among your employees. Mindfulness training can help everyone in the office get better at focusing on the task at hand, gaining a new perspective, and maintaining an optimistic outlook. Mindfulness in practice can be difficult to get the hang of, but once you’re hooked, there’s no going back. Practice these tactics regularly to get a clearer mind and healthier lifestyle. You’ll gain invaluable perspective about what’s important in life, and—most importantly—become the best leader you can be for your business.